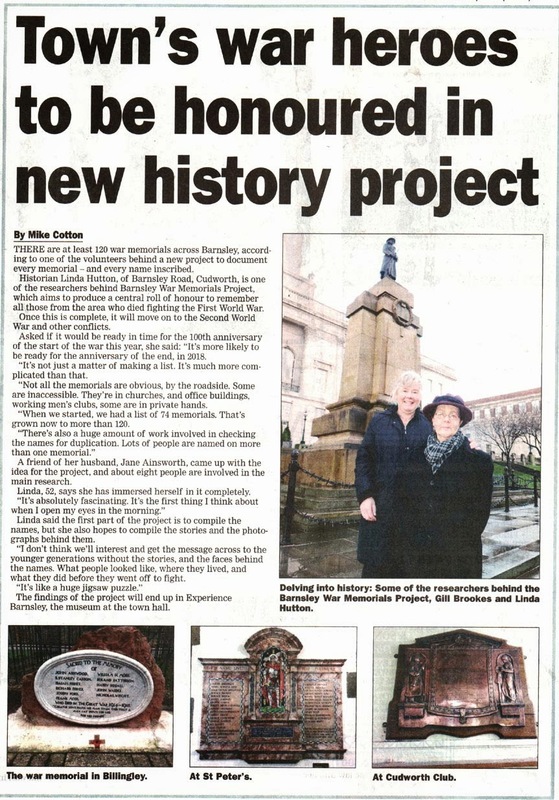 Barnsley Chronicle "Town's war heroes to be honoured in new history project"
Published in today's (31 January 2014) Barnsley Chroncle. 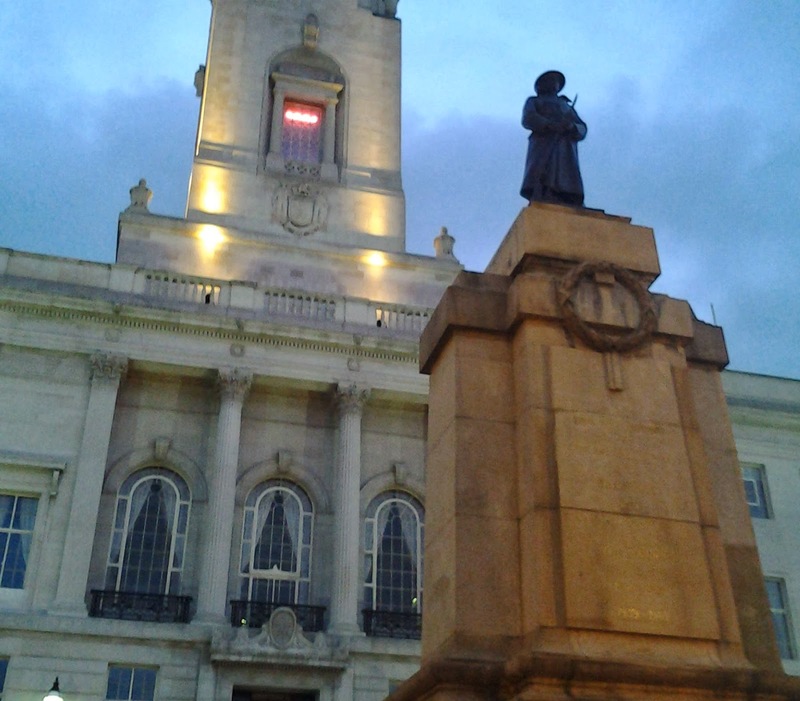 The second meeting of the Barnsley War Memorials Project will be held on Thursday 6 February 2014 from 2pm to 4pm in meeting room 10 of Barnsley Town Hall. Items to be discussed include the aim and scope of the project (including funding), actions for Barnsley History Day (23 February 2014), Research in Progress and avoiding duplication, recruiting new volunteers and roles for volunteers. The newspaper cutting added here refers to the plaque in St James' church which was dedicated in 1921 and has now been transferred to Silkstone Church. 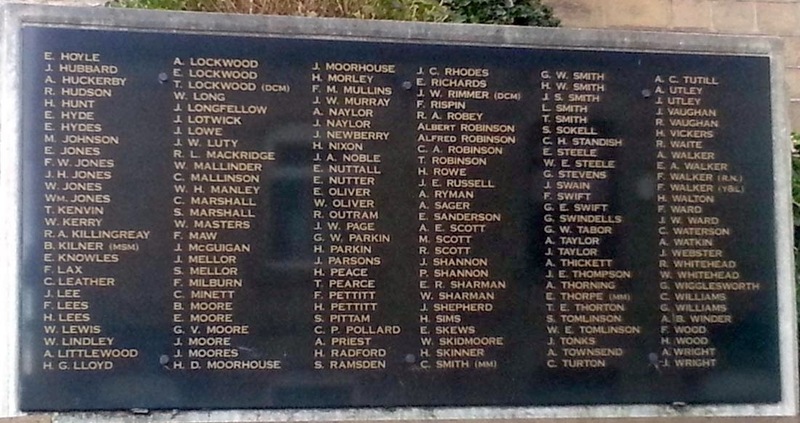 We are still searching for documentary evidence supporting this wartime Roll of Honour. However, note the list of names at the end of the cutting - who are not all men named on this RoH - suggesting it was especially for the Wentworth Castle staff rather than a list of local men. The names may have been added chronologically, as they are not in alphabetical order. Above, an inscribed panel in moulded architrave flanked by half-detached soldiers in battle dress set before draped flags. Shallow cornice beneath ogee-headed feature with unicorn crest within carved foliage; crown at apex. 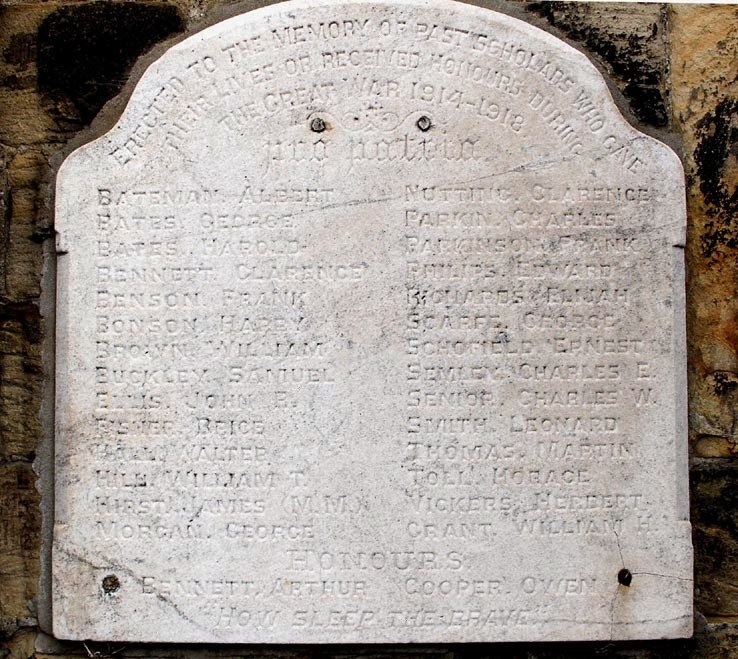 Inscription: dedication to, and names of, the people of Wombwell who served in the Boer War 1899-1902. 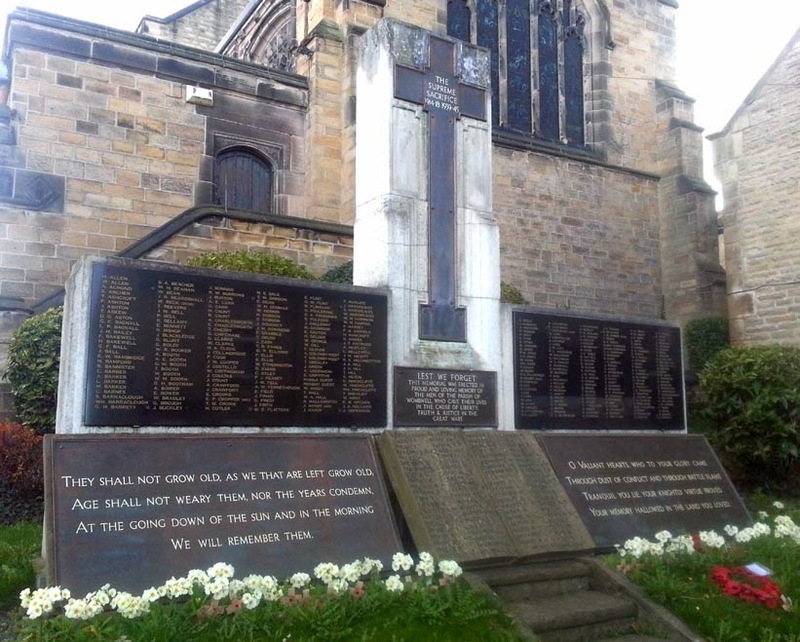 Some information on this memorial has been deposited in Barnsley Archives. Wall with flanking plaques and a central upright square column. 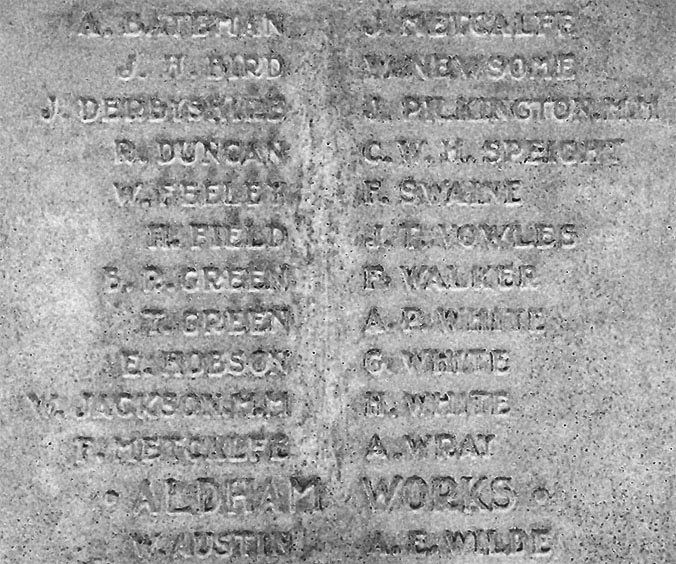 The central column is bearing a metal cross above a metal plaque, both with First World War dedications in white lettering. Below the central column is a stone tablet in the shape of an open book, upon which are the Second World War names in incised black lettering. 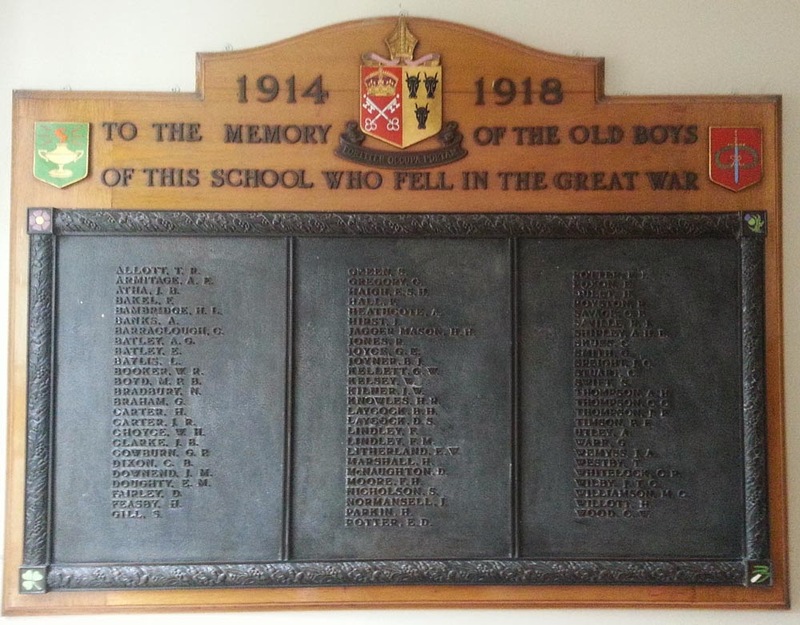 On the walls either side of the column are two black marble tablets with First World War names in gold lettering, and below each of these are two metal plaques with dedications inscribed with white lettering. Thanks to Christopher Page, Nigel Croft and MAC for the photographs which have allowed the transcriptions provided below. 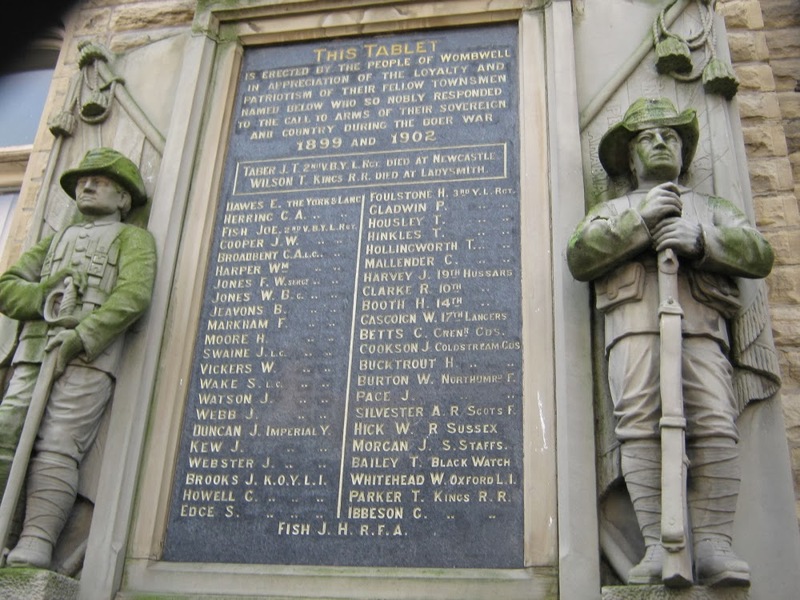 Soldiers on the Wombwell War Memorial are being researched by Fay Polson and her blog Wombwell Soldiers Remembered has photographs and all kinds of information about the men from the area. In the list below, where the name is blue click to follow the link to a page with photographs and more information. This could be a Commonwealth War Graves gravestone, a family memorial or a full Soldier Story written in co-operation with the soldier's relatives. THE 13TH & 14TH BTNS Y & L REGT. 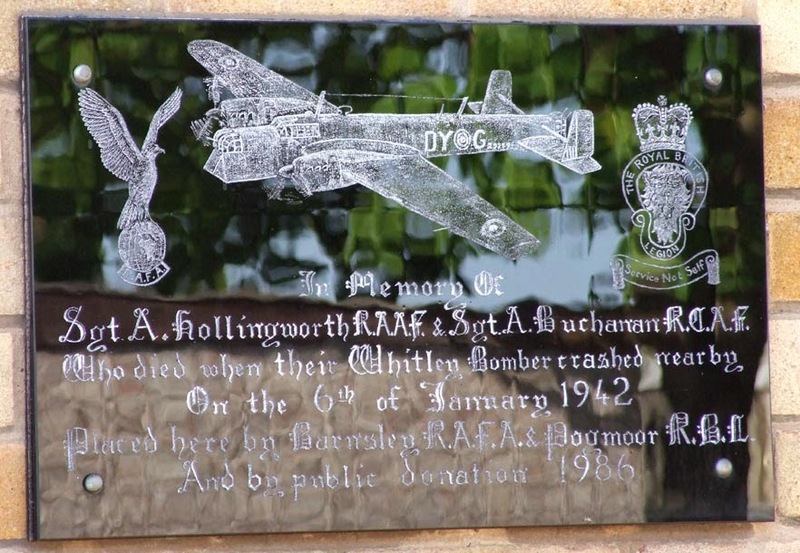 Black stone plaque to two WW2 air force sergeants. On front of 5 Royal British Legion houses. This memorial was kept by Horizon Community College when Holgate School was demolished in 2012. 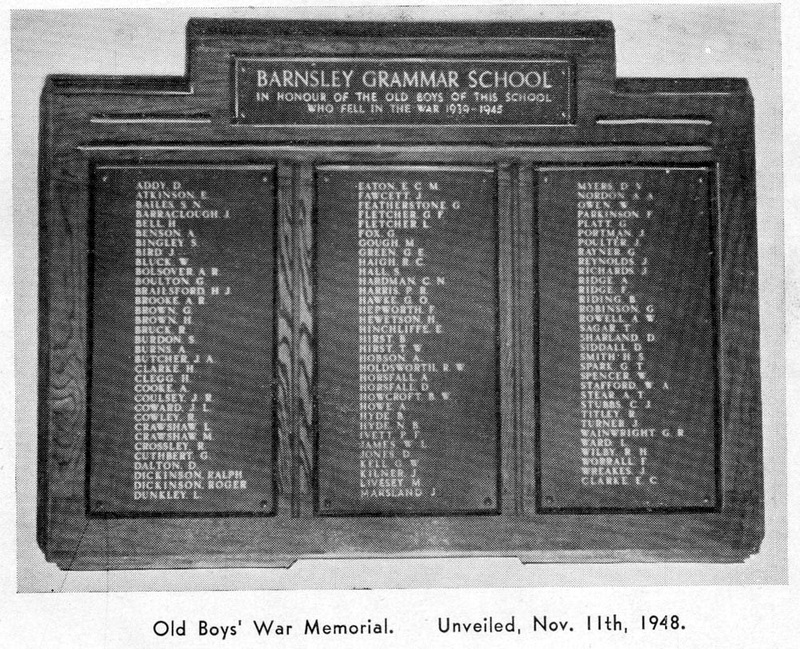 It lists 98 names of men who fell in the 1939 - 1945 war on three metal plaques mounted on an oak board. It is not yet on display. 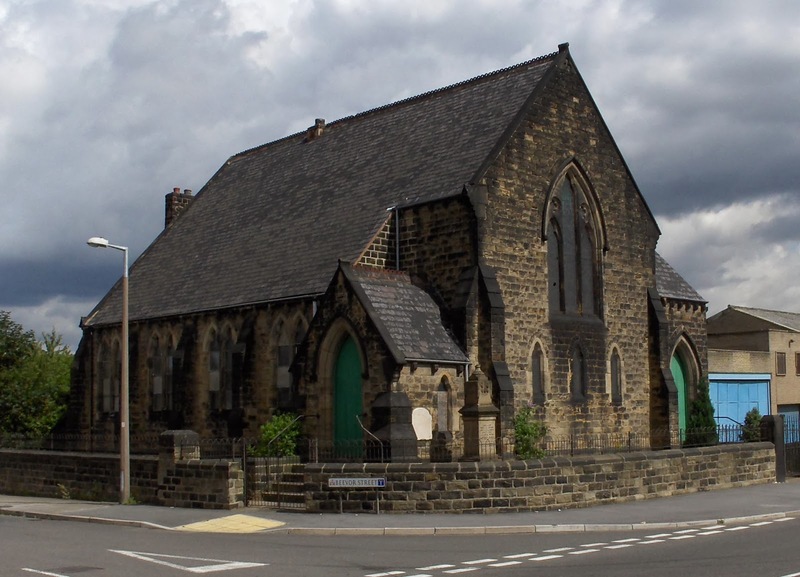 Barnsley, St George's Church which has since been demolished. A newspaper report mentions a memorial chapel and two windows, one in memory of Benjamin Turner and one in memory of the men of the parish and we have obtained copies of photographs of these. 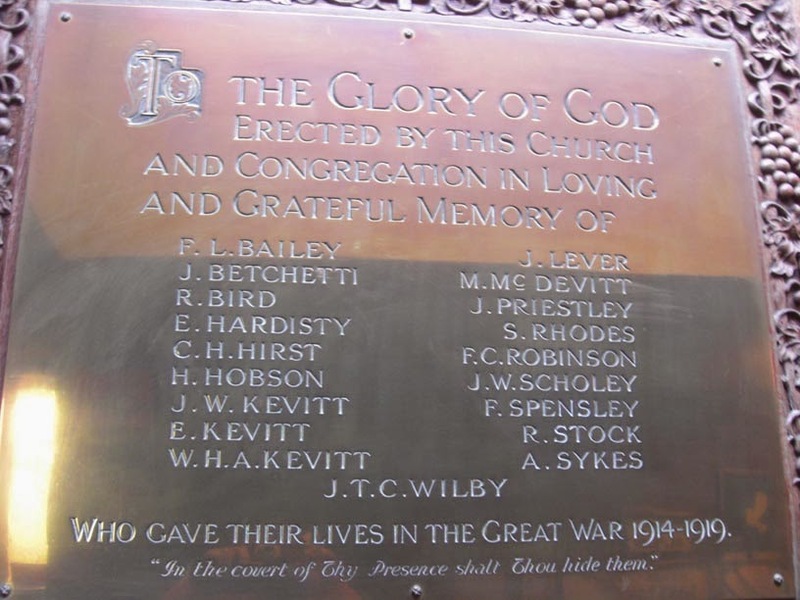 This memorial came from Billingley Methodist chapel that had to be sold in 2012. 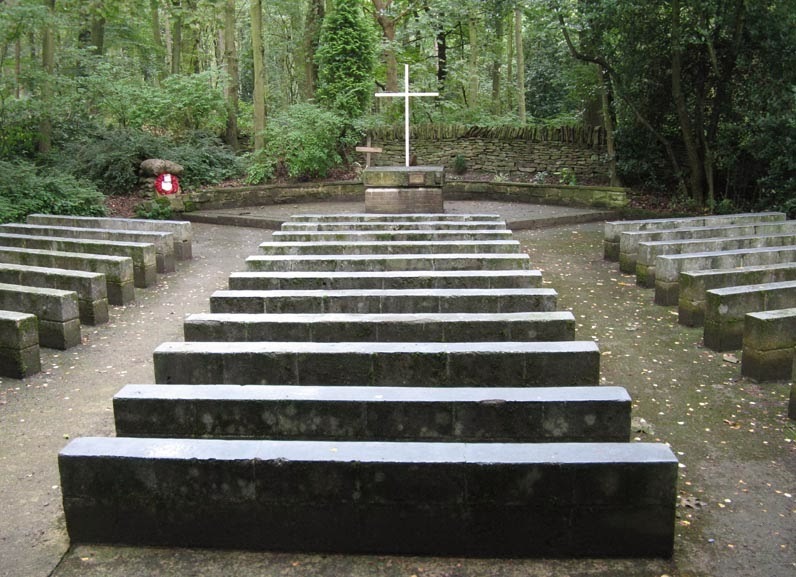 It was dedicated to the men who lost their lives who had attended the chapel. 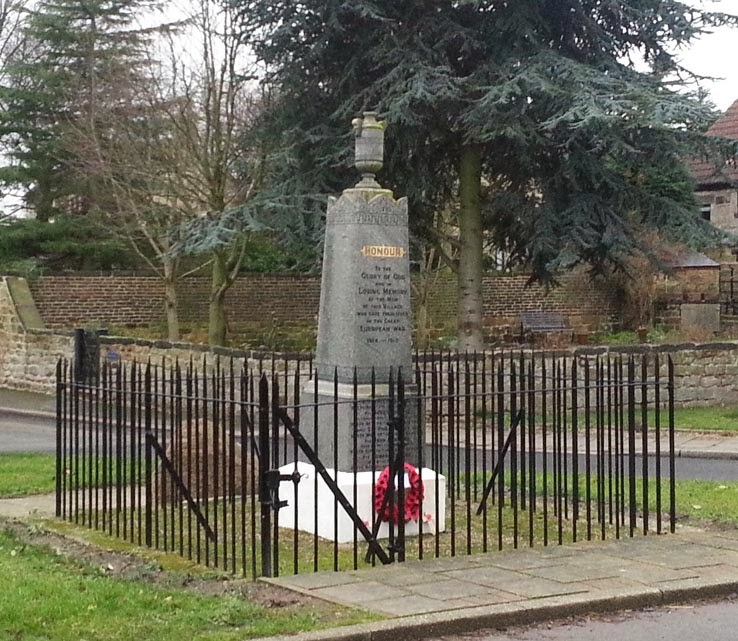 When the chapel was sold it was agreed to move the memorial to the new site adjacent to the roadside memorial. 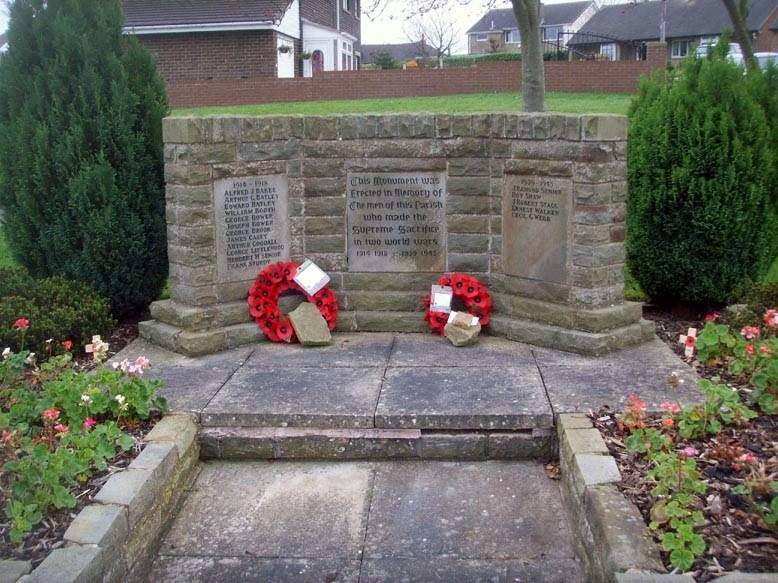 A booklet about the men on this memorial and some other men from Billingley who returned from the war was produced in August 2014 by the Billingley Village History Group. Pte Edward Clarke 18th West York Regt. "In the covert of Thy Presence shall Thou hide them". 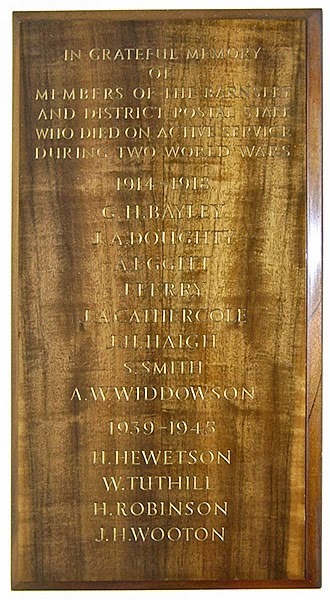 This memorial is on display in a glass cabinet on the first floor of Barnsley Town Hall. It is very difficult to photograph being dark, low contrast and at the back of the case behind other items. 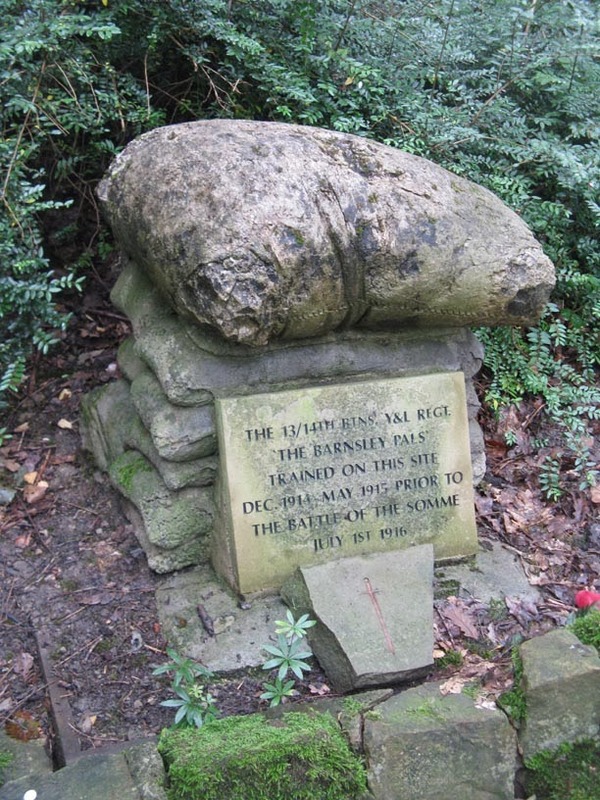 Photographed by BarnsleyHistorian on 16 January 2014. 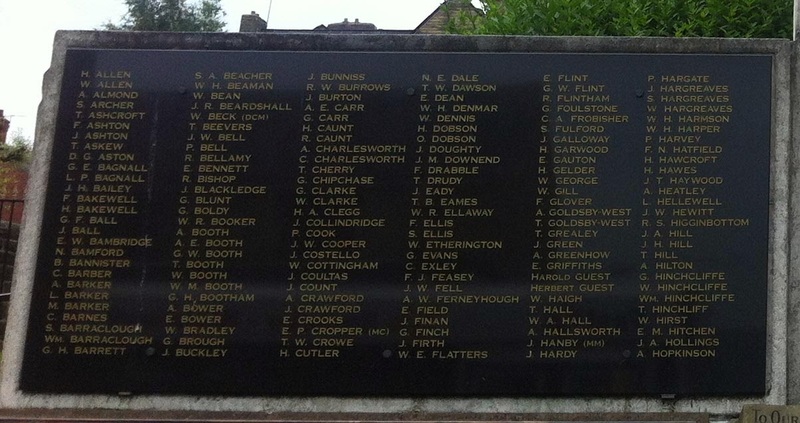 Update May 2014: A partial Roll of Honour for Redfearn Bros Ltd, Barnsley has also been found and can be seen here. The men on this memorial have been researched in depth by BarnsleyHistorian and Peter West and biographies of many of them can be found on Barnsley Soldiers Remembered. In Glorious Memory of / Our fellow work men / who gave their lives / in the Service / of their Country / In the Great War 1914-1918 / (names) / They died that we might live. The memorial had lost its urn before our first photograph in 2009, and between then and 2013 the shrubs around it had grown so large that it was almost impossible to get pictures of the inscriptions on the sides of the pillar. 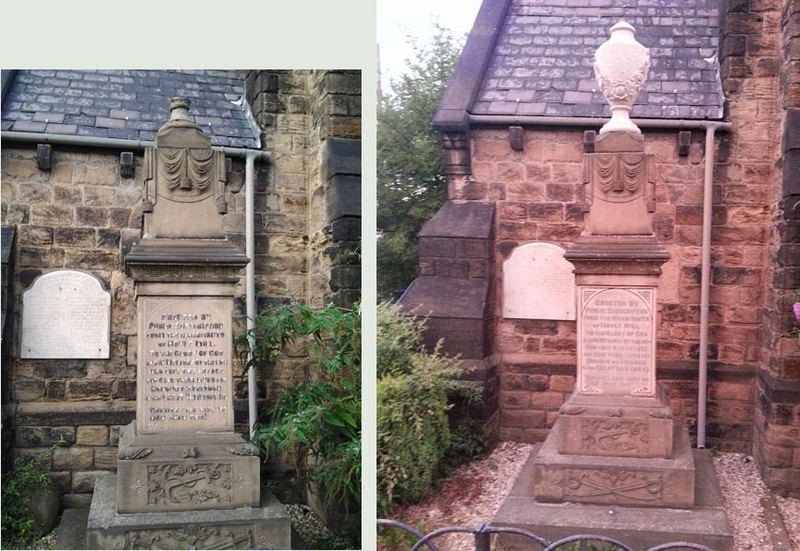 In July 2014 work has obviously been carried out, first the panels on the pillar appeared cleaner and the undergrowth had been cut back and then one evening an Urn appeared! We pulled the car to a rapid stop and leapt out to photograph the new arrival. Great news. Thank you to whoever is responsible. 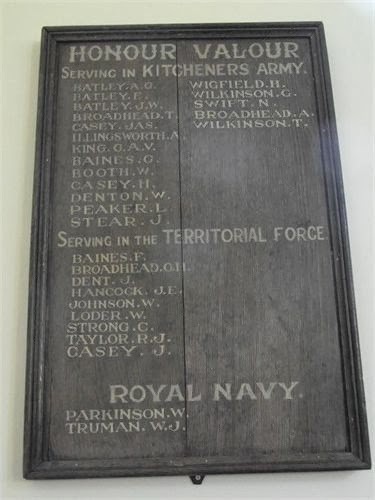 The original memorial tablet, as described in the 1920 newspaper cutting was black marble, the present plaque (above), which can be seen in the parcel collection office in Pitt Street, is wooden. 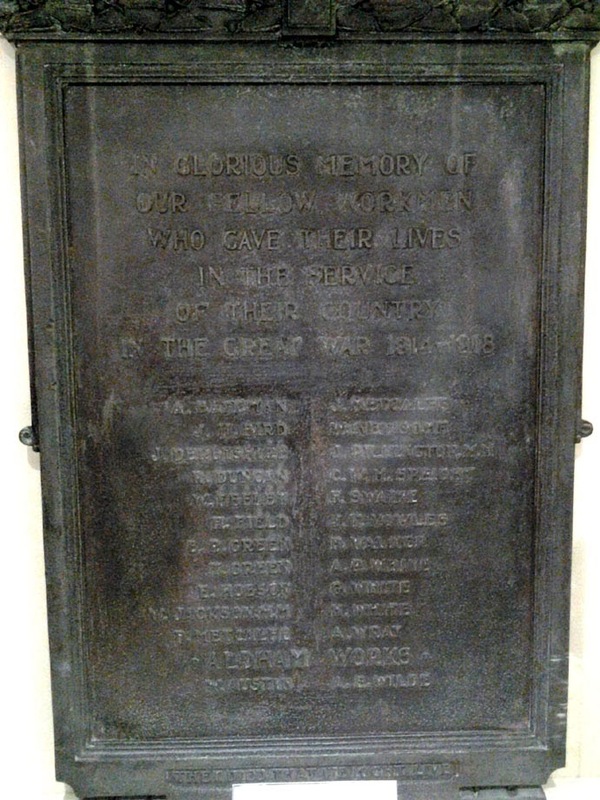 This memorial is now in the Cooper Art Gallery on Church Street, Barnsley. 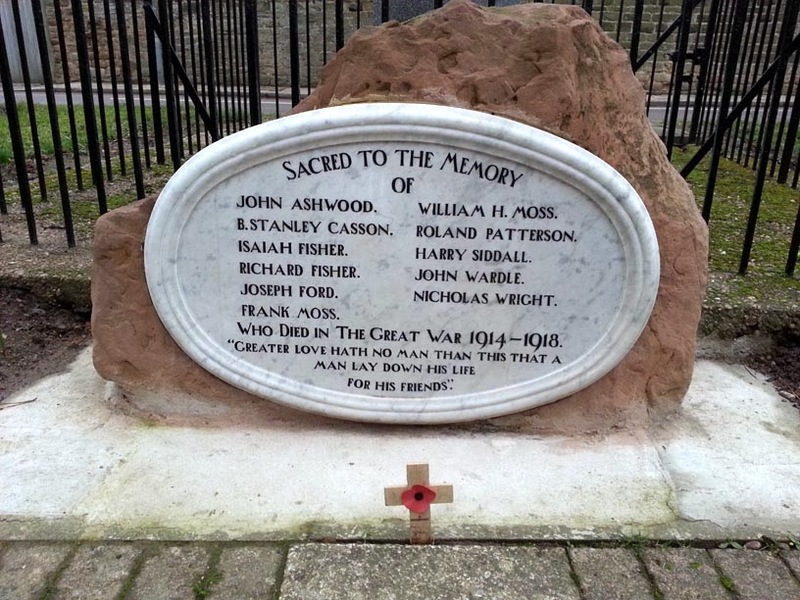 A book, Great Sacrifice of research about the men on this memorial by Jane Ainsworth is forthcoming in March 2016.